Police in Delaware County have captured what they think is an alligator found in a Prospect Park creek. The department sent out a reminder on Facebook Sunday, warning residents that while recovering and releasing reptiles into a creek may seem like the most humane thing to do, it's not. The reptile was captured in the 400 block of Nassau Boulevard. Police are looking to determine whether it's an alligator and not a crocodile, a police spokesperson said. No further details have been provided. The reptile will be released to a rescue organization, police said. This is not the first time local authorities have captured an invasive reptile in the Philadelphia region. In 2016 Collegeville police captured an alligator. In 2017, an alligator was found and captured during a drug raid in Atlantic City. 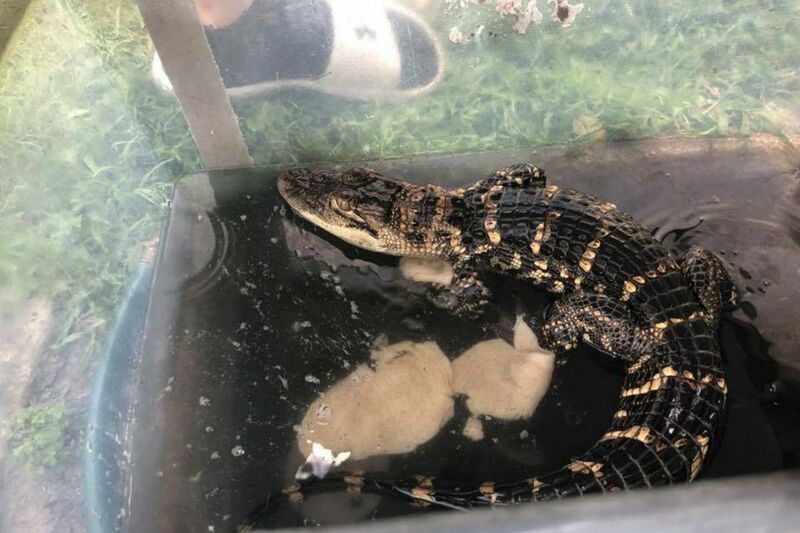 Pennsylvania's Fish & Boat Commission's bureau of law enforcement has been called to investigate how this reptile was released. While residents may believe that capturing and releasing animals into the wild is humane and helpful, it can be dangerous to the ecosystem, as any species that is non-native to an ecosystem is labeled as invasive and could have devastating consequences to their surroundings, according to the U.S. Fish & Wildlife Service. It's also illegal to release non-native species into the wild in Pennsylvania too, according to Pennsylvania's Fish and Boat Commission. Alligators, found in fresh water, inhabit parts of the United States and China. Crocodiles, which live in saltwater habitats, may be found in the Americas, as well as Africa, Asia, and Australia. American alligators are most commonly found in the southern United States, such as in Florida, Louisiana, Alabama, Georgia, South Carolina, Mississippi, and Texas. Crocodiles may be found in coastal areas of Florida.